Earth announce new album, Full Upon Her Burning Lips, to be released by Sargent House on 24th May 2019. 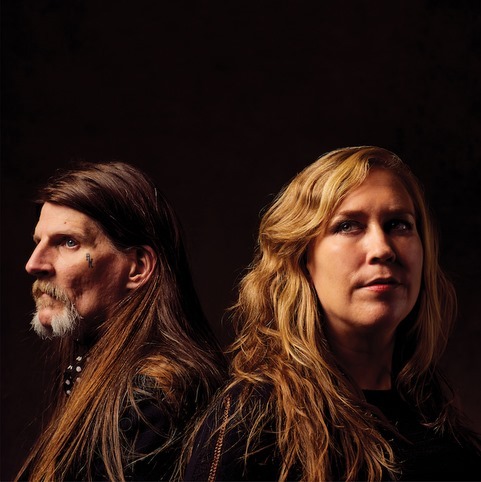 Ahead of this, they’ve unveiled album track ‘Cats in the Briar’, which showcases the evolved sound of the band – now stripped back to core duo of Dylan Carlson and Adrienne Davies, and so resembling, albeit with different instrumentation, their first iteration. Oh yes…. Known first and foremost as the lynchpin of instrumental band Earth, Dylan Carlson has become one of alternative music’s most ambitious pathfinders. It seems beyond appropriate, then, that Carlson’s new solo endeavour is titled Conquistador. The five-track record channels the indulgent drone of Earth while traversing uncharted sonic terrain. Listen to the album’s first single, ‘Scorpions In Their Mouths’. Heaven may not be a venue one would immediately associate with heavy, heavy noise, but tonight it’s packed with a broad demographic that only a show as genre-smashing as the line-up would be likely to draw. Bong are only just setting up their kit five minutes before they’re due on stage, but despite the absence of a proper soundcheck, they sound every bit as mighty as they ought. The Newcastle trio take their time, grinding out power chords with endless sustain without mercy during a half-hour set that contains just a single track. Epic is indeed the word. For all the leaning toward the doomy, droney low end, the guitar packs a crackling treble hit, which balances the sound against the shuddering, throbbing bass and the megalithic drumming, each thunderous beat registering individually on the Richter scale, crashing heavy through the 20bpm dirge with stutters and pauses to maximise the impact of each stroke. Their thirty-minute set consists of just one song. And this is precisely the way it should be: the band use the allotted time to fully demonstrate the expansive nature of their sound and compositions. This is heavy, grinding two-chord dredging pushed to the max and is designed to simultaneously batter and hypnotise the audience, and they deliver it beautifully. If the reality of the studio realisation of Concrete Desert, the collaborative project which saw The Bug’s dubby dancehall stylings drawn out into infinite regressions of reverb as they collided with the dark drone of Earth’s earlier works felt somewhat restrained, and at times bordered on the ambient, in a live setting, the dynamics prove to be altogether different. Perhaps The Bug’s input felt somewhat muted on the release, as Carson’s murky, chiming ambient drones dominated he sound. Sure, the stealthy, bulbous bass and clacking beats, paired with quavering guitar notes which occupy the album’s grooves are atmospheric, but it often feels somewhat cautious, even subdued. Live, however, it’s an entirely different proposition and it feels far more like an equal partnership. On the surface, the pair exist – and perform – in entirely separate, personal spaces, despite sharing a stage. 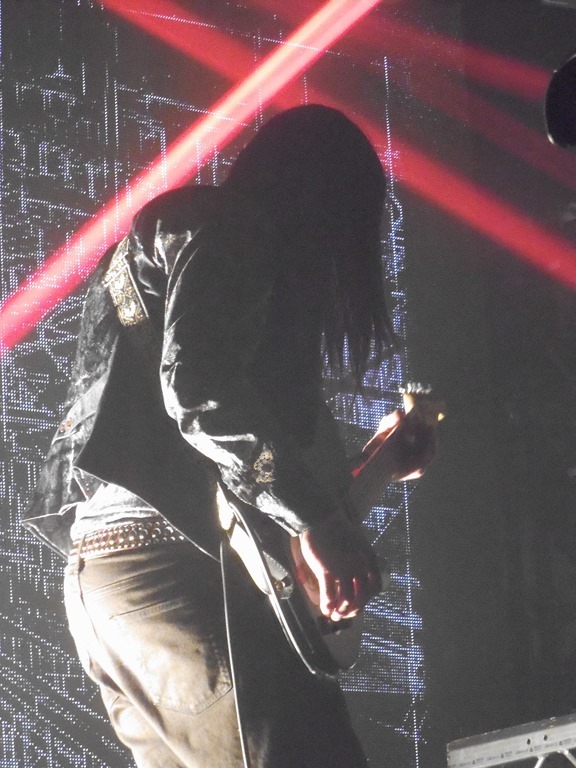 The Bug – aka Kevin Martin – and Dylan Carlson, representing Earth, stand apart, separated by a wall of equipment: Martin is surrounded by banks of electronic gadgetry and stands focused on his Apple laptop for the majority of the set, while Carlson stands, side-on to the audience, one eye on Martin as he cranks out deep, seething drones and sculpted feedback squalls of noise. Volume matters, and can so often prove to be integral to the live music experience: and this is loud. Proper, seriously, loud. 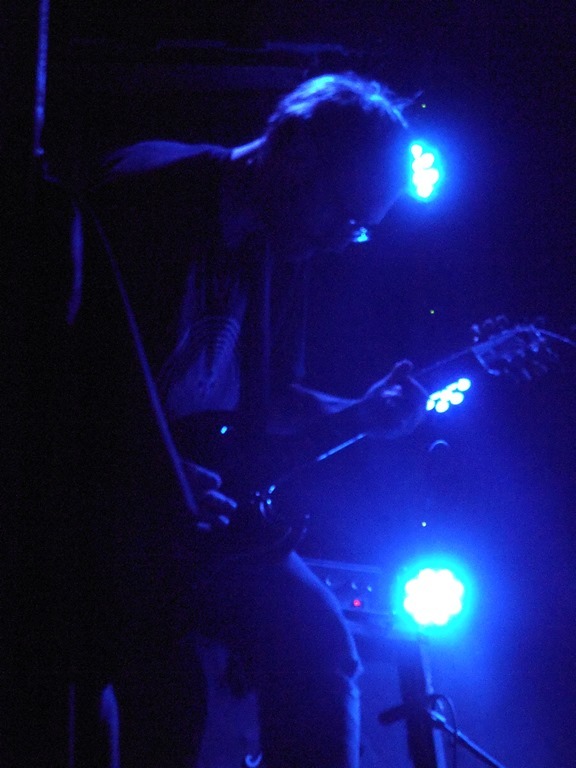 Martin begins by sending bibbling waves of electronica out in juxtaposition to Carlson’s screeds of guitar: before long, it’s a veritable sonic tsunami as thunderous bass and violent blasts of percussion crash against a wall of relentlessly dense multitonal noise bleeding in every direction from Carlson’s fretboard. The bass frequencies – and gut-churning volume – are something else. Confetti glued by static electricity or other means to the venue’s high ceiling after being blasted out during the venue’s famous club nights shower down on band and audience alike as the thunderous vibrations rattle every molecule of the building’s interior fabric as well as my nostrils, my trousers and every inch of my flesh. Many of the compositions are unrecognisable in relation to their studio counterparts, so radically reworked and so much more up front are the dynamics. This is no stealthy, sedate recreation of the album but something way more attacking and pure in its physicality. This is one of those sets which builds in intensity – and seemingly in volume – as it progresses, and toward the end, the pair drop a colossal slow-burner with slow, deliberate drops of bowel-shuddering bass frequencies: a single note resonates through the floor and the solar plexus for what feels like minutes, and the effect is utterly immersive and all-encompassing. The security guy in front of me, blocking the stairs (Heaven has a very strange arrangement of stairs up to the stag and only limited security at front of house, which is welcome), is clutching his ears despite waring plugs, and while it’s an uplifting euphoric experience which plasters a huge grin on my on face, it’s not hard to fathom why this much bass, and this much guitar, at this kind of volume, would cause discomfort. Because actually, it hurts. And that’s the best thing about it, because this is how it’s meant to be. Tags: Album Review, Ambient, Earth, Film Soundtrack, FOUDRE! FOUDRE! describe themselves as ‘a telluric drone quartet’. 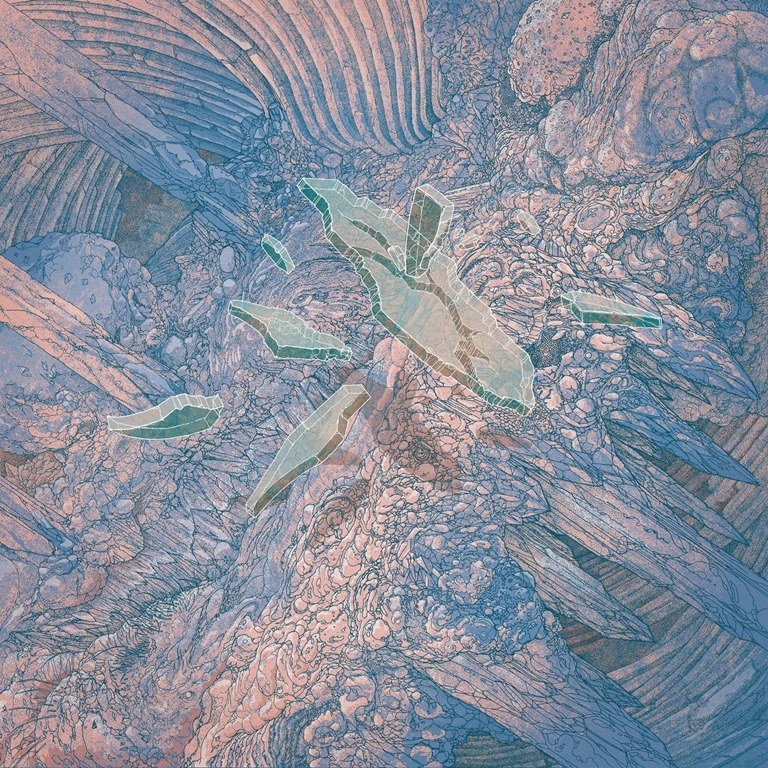 Composed of Frédéric D. Oberland (Oiseaux-Tempête, The Rustle Of The Stars, FareWell Poetry), Romain Barbot (Saåad, I Pilot Dæmon), Grégory Buffier (Saåad, Autrenoir), Paul Régimbeau (Mondkopf, Extreme Precautions, Autrenoir), and featuring ‘electric chimeras’ by Christine Ott on ondes martenot, they’re effectively an avant-garde drone supergroup. And EARTH is their third album. 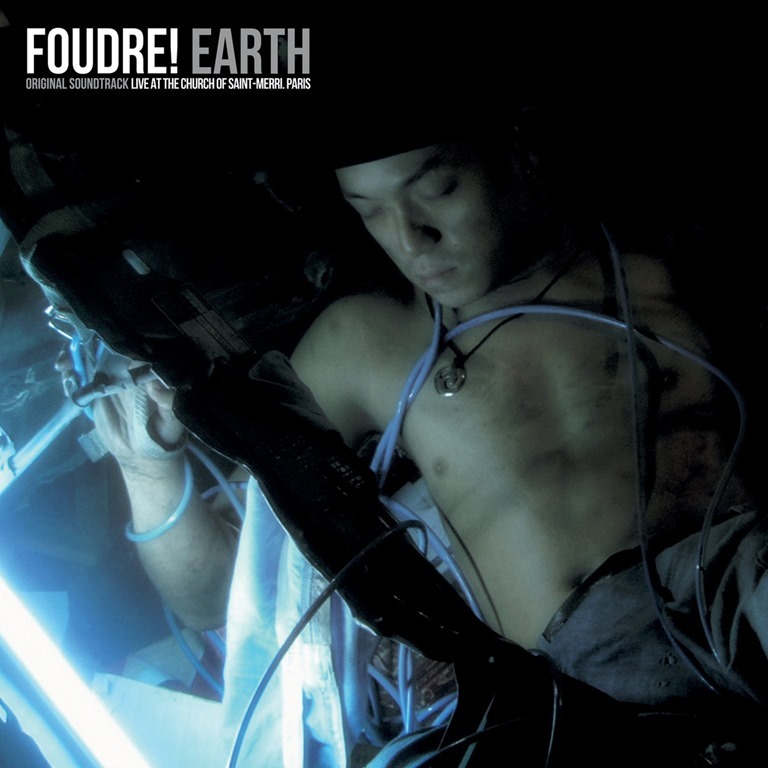 The concept is strange, alien, and the soundscapes forged by FOUDRE! are very much within the realms of the eerie: dark, ominous, tense, essentially preoccupied with conveying a sense of the unknown, the unknowable; the unseen and the unseeable. As Mark Fisher discusses in The Weird and the Eerie, what renders a work ‘eerie’ is the tension, the fear of the unknown. The revelation or the breaking of the tension is the moment at which eeriness ends. There is no end on EARTH beyond the end of the sound. There is no resolution, and the creeping strangeness simply hangs in the air as the silence encroaches. The creeping fog of the ten-minute ‘Still Life’ opens the album by opening a portal to a strange, dark landscape. Precisely how strange and alien is indeterminable by sound alone, but the mind’s eye conjures shadows, half-light, a dense, sulphuric atmosphere. Willingly or otherwise, you are transported, and are now in the moment, and elsewhere. Geography is, after all, a state of mind. On ‘Goliath’ shrieking, ghoulish notes, disembodied and strange howl and hum as rapidly oscillating synths simmer to a jittery edginess beneath. An ambient soundtrack, detached from its visuals, becomes a vessel into which the listener, by a certain sense of necessity, pours in their own meaning. Abstractions take on meaning simply by virtue of the way certain sounds and frequencies resonate in the lister’s mind, stirring subconscious recollections and sensations which lack clear definition. The elongated drones gradually turn, vaporous and ethereal, twisted and thick inspire reflection and projection: you empty yourself, casting your uncertainties into the sonic vortex, to find your emotional fragilities offered back in return. This is a film soundrack – and one performed and recorded live, as the rapturous applause at the end reminds us – but in the space between, this becomes your soundtrack. Immerse yourself. And see the film if you can. I’ve pretty much lost count of the number of versions I’ve heard of ‘She Moved Through the Fair’. As is the way with traditional folk songs and blues standards, no-one owns them, they simply exist. 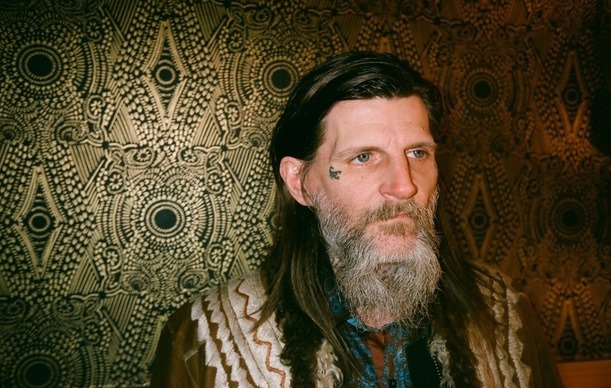 And from the interpretation ranging from Van Morrison to All About Eve and including Sinéad O’Connor and Fairport Convention, Pentangle and Arbouretum, none sound like Dylan Carlson’s sprawling eight-minute instrumental rendition. But then, that’ because Carlson’s version sounds like recent Earth albums, which in turn place a unique spin on traditional and ancient folk music. This is clearly become something of an obsession for Carlson in recent years, and his explanation of the concept behind Falling with a Thousand Stars and Other Wonders From The House of Albion evidences this. Describing the album as his ‘interpretations of Scotch-English folk ballads about human/supernatural interaction, specifically those “spiritual creatures” known as “fayres/fairies/etc.”’, he places it within the realm of misty mysticism and a landscape of verdant forests as old as time itself. 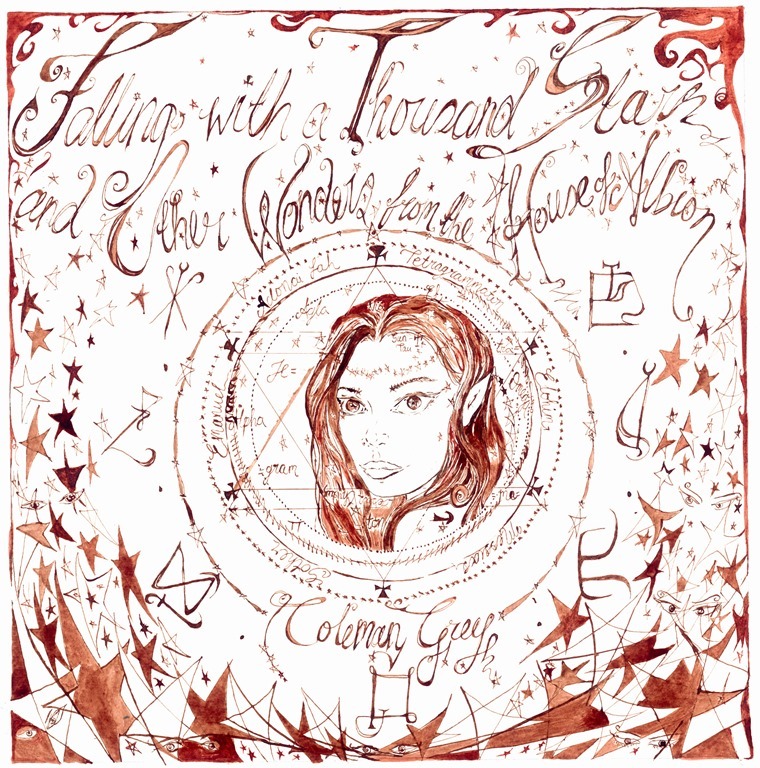 While the ten-minute ‘Tamlane’ is not only the album’s centrepiece but a definitive standout, the seven tracks on Falling with a Thousand Stars and Other Wonders From The House of Albion individually and collectively tap into a dormant resonant subconscious. Carlson’s spindly guitar pickings twist like the fronds of creeping ivy around the immense trunks of ancient trees, which manifest as heavy-timbered droning notes which point back to the dark ages. The oucome is a musical experience shrouded in mystery and unknowable and yet somehow strangely affecting.